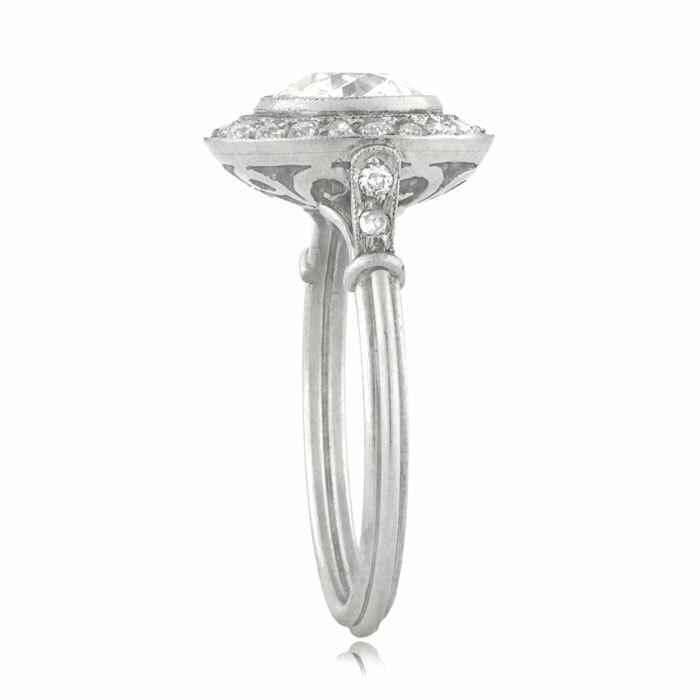 The delicate, Art Deco style ring has been expertly handcrafted from platinum. 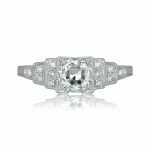 When combined with the 1.10-carat old European cut, the piece has a timelessness and elegance all of its own. The center antique diamond is dated circa 1930 and is graded at approximately H color and VS2 clarity (and dimensions of approx 6.6mm x 6.6mm). 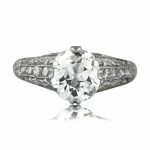 This antique diamond has a mesmerizing liveliness and is itself surrounded by a row of 0.44-carats old mine cut diamonds which superbly enhance this wonderful piece. A total weight of 1.54-carats. 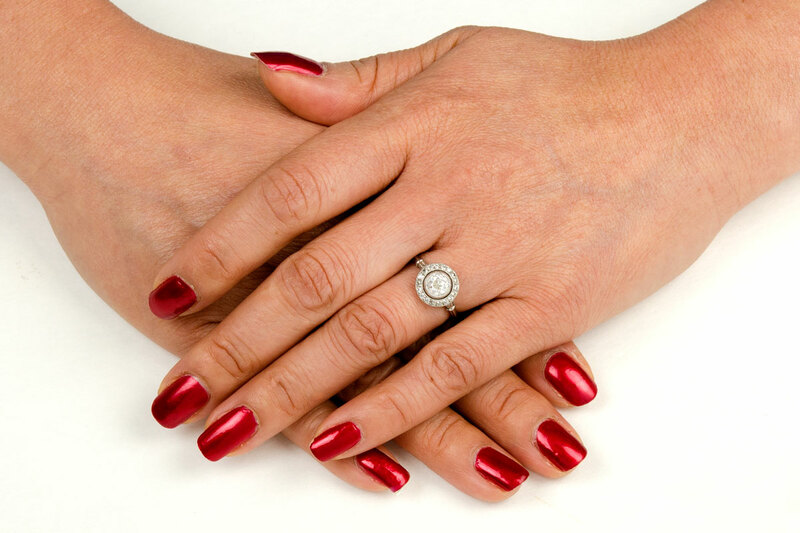 Including the halo, the diamond has a face cover of 10.8mm x 11mm. If you have any questions or require further information, please contact us. We will respond within one business hour. 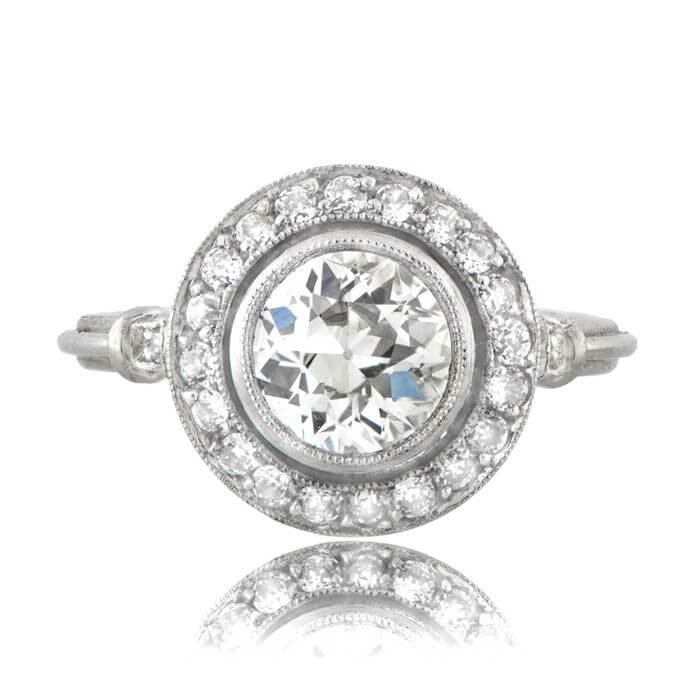 SKU: 11091 Categories: Old European Engagement Rings, Old Mine Engagement Rings, Vintage Engagement Rings - Contact us and request additional pictures.